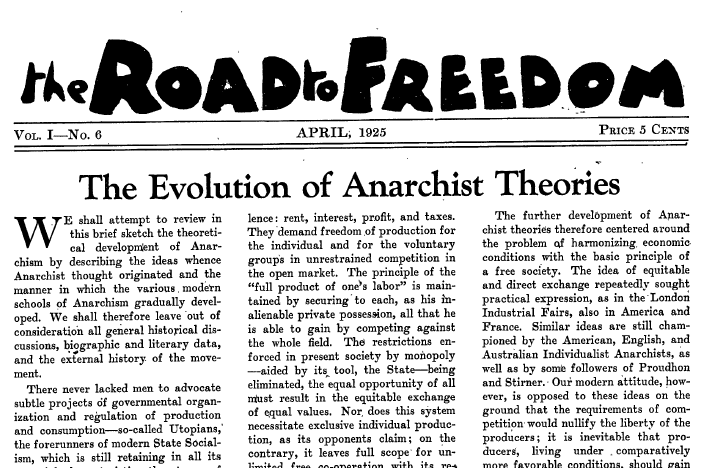 The April 1925 issue of The Road to Freedom, an anarchist newspaper published out of New Jersey and New York from 1924-1932. Contributors include J.A. Perez, Harry Kelly, Marcus Graham and Rabindranath Tagore.